Teenaged misfits and adolescent rabble-rousing take center stage in this dark coming-of-age tale. Big Kids follows a troubled teenage boy through the transformative years of high school, as he redefines his friends, his interests, and his life path. When the boy's uncle, a police officer, gets kicked out of the family's basement apartment and transferred to the countryside, April moves in. She's a college student: mysterious and cool, she quickly takes a shine to the boy. Eerie and perfectly paced, Michael DeForge's Big Kids muses on the complicated, and often contradictory, feelings people struggle with in adolescence, the choices we make to fit in, and the ways we survive times of change. 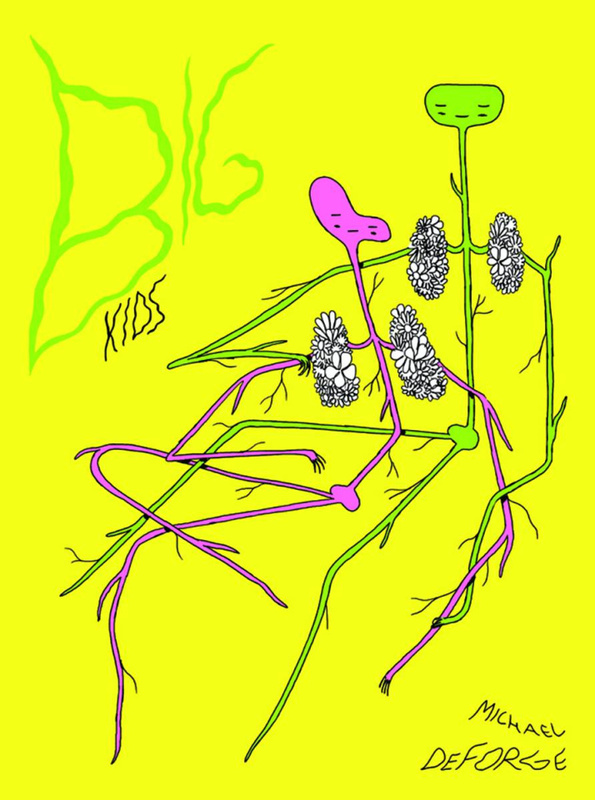 Like Ant Colony and First Year Healthy, Big Kids is a testimony to the harshness and beauty of being alive.